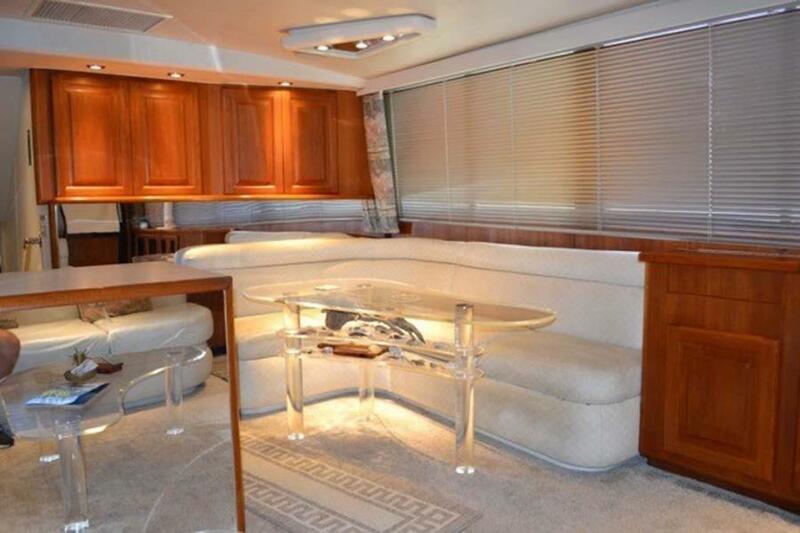 The Fishin Fannatic is a 53’ Viking Sportfish. 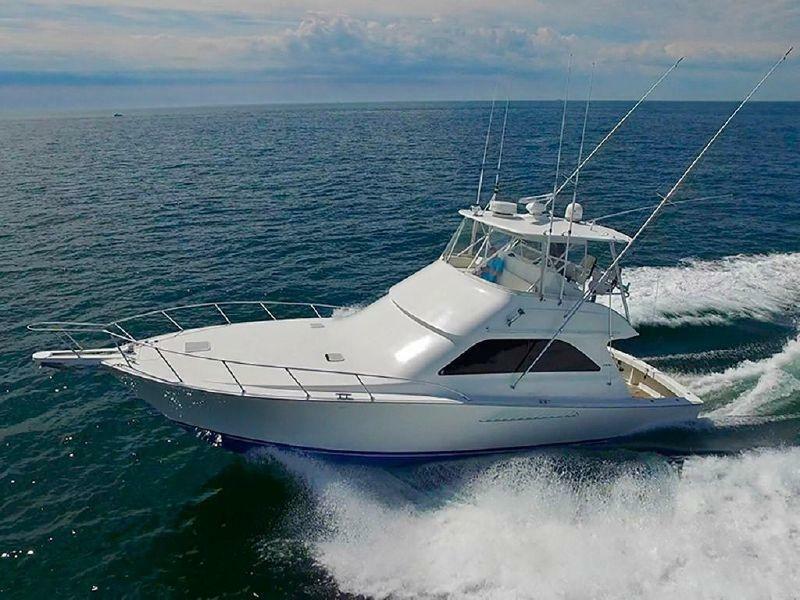 Twin Man engines power the Fishin Fannatic and she cruises comfortably at 27 knots. Enjoy kite fishing or trolling off the back of the boat and enjoy the beautiful views only found in the Outer Banks, North Carolina. 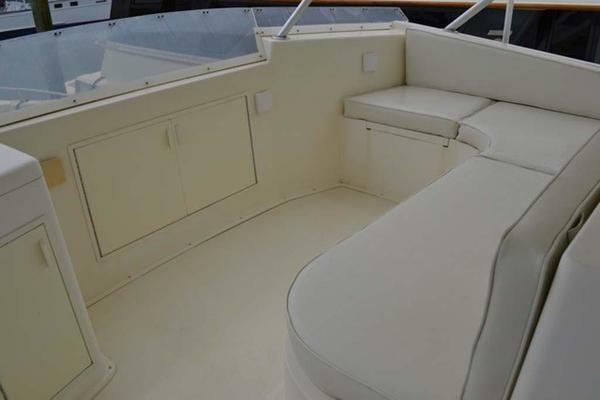 A spacious 16’ cockpit is plenty of room for everyone on board plus we have a large transom fish box on board to store your catch. You’ll have all of the necessary amenities like a fully air-conditioned salon, wrap around couches, and a spotless restroom. 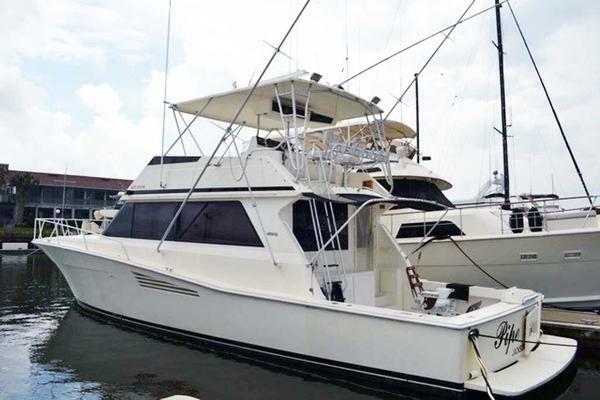 We have high-quality sportfishing tech like Robertson auto-pilot, Garmin GPS plotter, and a Furuno NavNet radar to better your Nags Head fishing charter experience. We have a Green Stick on board as well, it’s a big outrigger that uses a unique trolling method to catch some serious tuna. Families, children, beginner, and pro anglers are all welcome aboard. Don’t worry about bringing any sportfishing gear, we give you the rods, reels, bait and tackle FREE of charge. We only ask you to bring your own snacks, drinks, and sunscreen. 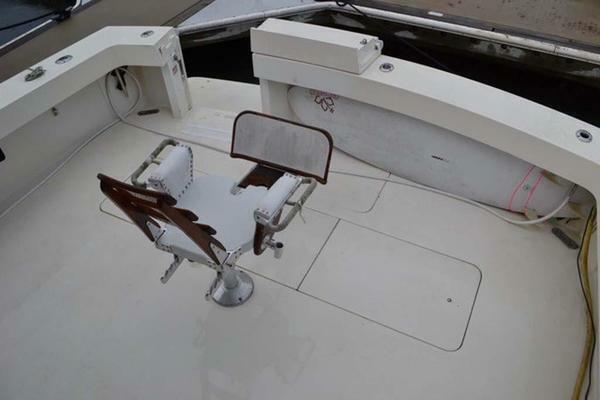 Introducing the new “Fishin Fannatic”, a 53’ Viking Sportfish! Best experience I have ever had deep sea fishing! Capt Mark and Brenda are fantastic. 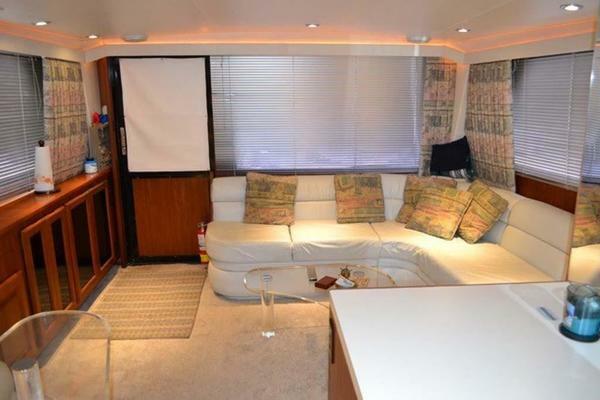 Beautiful super clean boat. We signed up for the 6 hour tower trip, and caught beautiful large amberjack there. Capt Mark even stayed out with us HOURS longer than we were signed up for bc he said he "never leaves when the fish are biting"-----awesome. My wife and I and our 2 teenagers had a great time. Caught more fish trolling to and from the tower. Next time we'll sign up for the full day offshore trip! On June 1st, my family and I went out for a half day inshore trip with Captain Mark. We had a great time. This was an amazing experience for the kids that they won't forget! 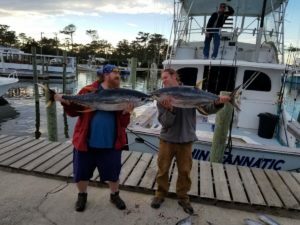 They loved reeling in the bluefish and Spanish mackerel. 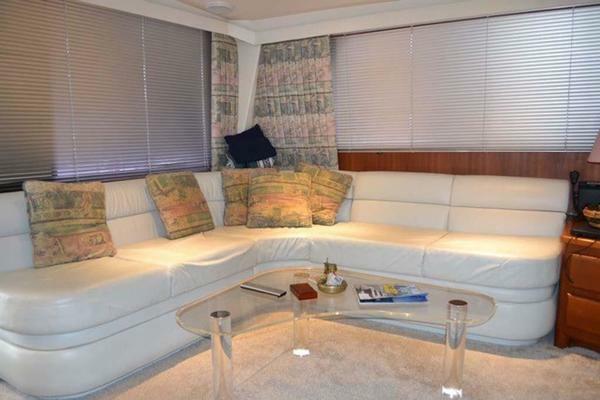 Booking was easy, crew was accommodating and the boat was nice. I highly recommend this boat when searching for the perfect trip in the outer banks. The fish weren't biting that day. We only caught a fish/hour. But the time spent with Captain Mark and First Mate Brenda out on the water was something my 5 year old grandson won't forget. He reeled in 3 fish and thought he was pretty tough. We had the fish cleaned right at the dock. The man doing the job showed off his huge shark's tooth around his neck and encouraged my grandson to keep on fishin'!